proposed class-action lawsuit contends Subaru of America failed to tell consumers about an oil-consumption problem in its most popular models.The suit claims the vehicles “prematurely burn off and/or consume abnormal and excessive amounts of engine oil” and alleges Cherry Hill-based Subaru has refused to fix the problem, saddling some customers with steep repair bills. 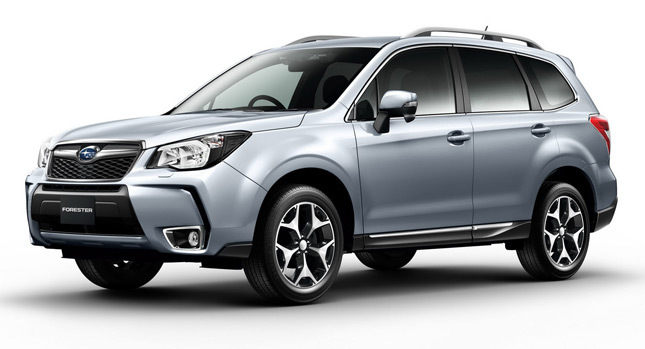 The suit seeks to represent buyers of 2011-14 Foresters, the 2013 Legacy and 2013 Outback, all with 2.5-liter “Boxer” engines; and the 2012-13 Impreza and 2013 Crosstrek, with 2-liter “Boxer” engines. It said some customers have paid $8,000 to Subaru dealers to repair the oil problem, and that drivers also face expenses for related problems, such as damage to vehicles’ oxygen sensors, catalytic converters and sparkplugs. The suit also asserts the alleged problem is a safety hazard, because engines potentially could fail “at any time and under any driving condition or speed.” It cites no instances of injuries or accidents due to oil issue. The suit, filed Wednesday in federal court in Camden, also names Subaru’s parent company, Fuji Heavy Industries Ltd. of Tokyo. A Subaru spokesman said the firm is aware of the lawsuit. “While we believe the oil consumption of our vehicles to be within acceptable levels, we continually work to reduce the amount of consumable goods, such as oil, that our vehicles require to operate,” said company spokesman Michael McHale. “We have also worked with customers on this issue,” he said in a statement. The suit was filed on behalf of Keith Yaeger, a California man who owns a 2014 Forester, and Michael Schuler, a Florida man who says he traded in his 2013 Outback at a loss due to the oil problem. “Following an extensive investigation, we now look forward to litigating the case,” said Matthew Schelkopf, a Haverford, Pennsylvania, attorney for the Subaru owners. The lawsuit includes copies of complaints by Subaru owners to federal safety agencies. “The Internet is replete with examples of blogs and other websites where consumers have complained of the exact same oil consumption defect within the class (of) vehicles,” it adds. The suit says Subaru in September and December 2013 issued four “technical service bulletins” alerting dealers to complaints of excessive engine oil consumption. It says the company issued revised versions of those bulletins in May of this year. The bulletins allegedly said the Subaru models “were experiencing abnormally high levels of engine oil consumption that warranted an intricate repair process to properly remedy,” and identified “unanticipated wear of the oil control piston rings as the root cause of the oil consumption defect,” the lawsuit added.